I got another review for you guys! 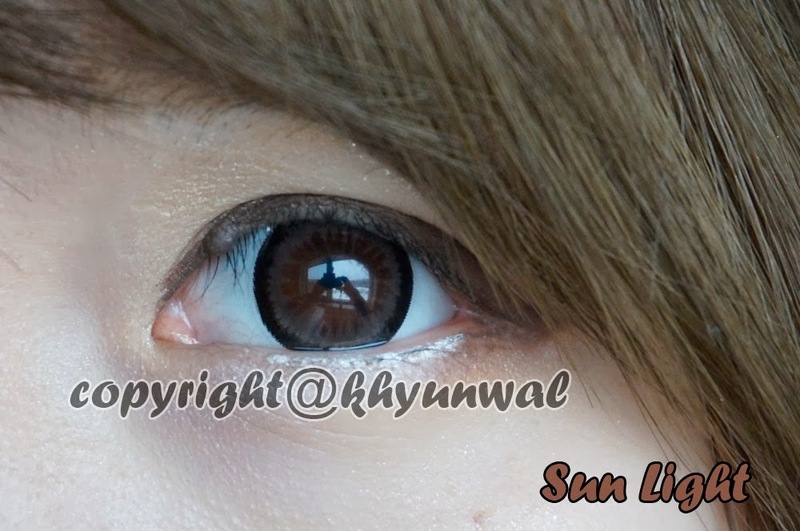 I have been wanting to do review on this circle lens for a long time and finally got around doing it! 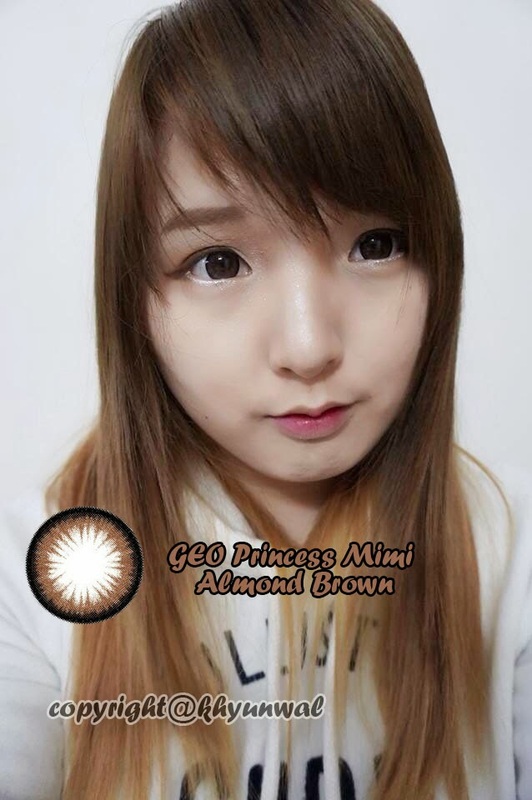 Today's review is GEO Princess Mimi Almond Brown lens, which also popular and known for one of the circle lens that popular Gyaru Tsubasa Masukawa wears! 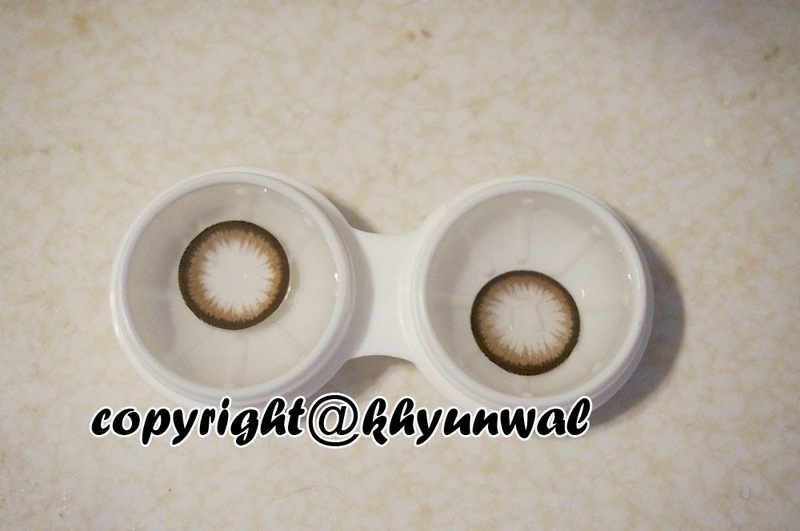 Since this lens is quite popular for many people, the price can be little bit higher than usual GEO lens, however, considering how comfortable it is and the quality of the lens, the price is actually really reasonable. There is another lens which looks really similar to this one, and I have already done my review on it. So far I only found this lens at my sponsor UNIQSO. Now let's get into the description of the lens! I ordered this lens on my birthday December 19th, and surprisingly the package came withing 5 business days! However, during this holiday season, UNIQSO was having free express shipping, that way you can get your package less than a week!! They are currently having promotion for Pre-Valentine 15% off Sale is going on, so you guys need to check it out! As always their lovely bear package doesn't cease to amuse me!! Also my package came with free gifts, which are the BB cream, eye makeup, and contact lens eyedrops! I can't wait till I test them out!! So be sure to place your lens on your finger before wearing and see if it is on the right side! Comfort : This lens has about average 38% water content, however, this actually feels really comfortable, and feel almost as if you are not wearing any lens. 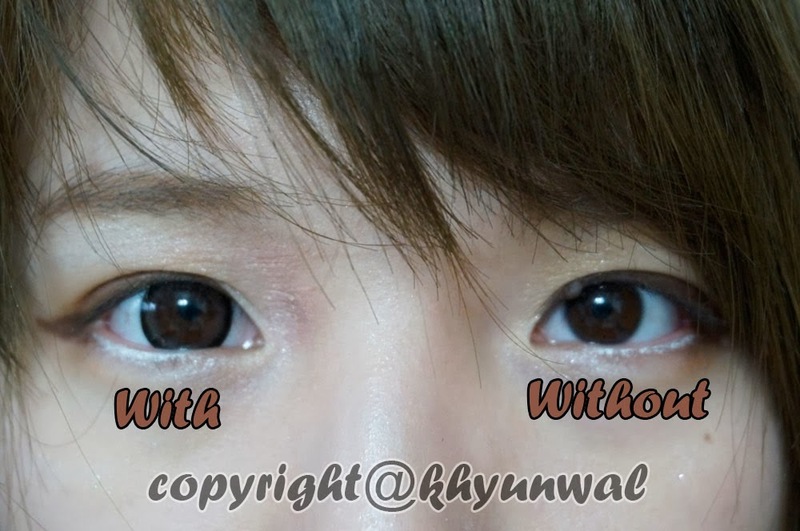 It feels like the lens itself shape to my own eyes (which I have flat Base Curve) so my eyes doesn't get tired as much. Hula Effect : Because of its comfortness, thankfully you don't get any Hula Effect what-so-ever. 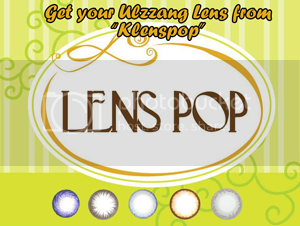 Lens stays with your eyes really well, and doesn't cause any blurriness in your vision. Color : For the Color I found it interesting, how the color changed. 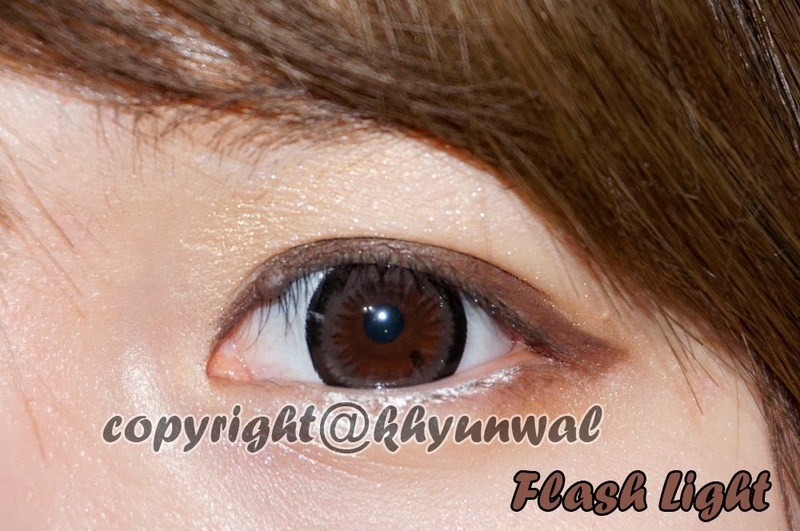 Because when you look at the lens itself, it has that grayish brown color, so my initial thought was that "oh my eyes will look chocolate brown when I wear these"
Design : Compared to the i.Fairy Almond Brown lens, this actually has little bit more of dotty graphics rather than solid color and also the black ring around it is little bit thinner than i.Fairy. I liked that part, cause to me it felt like the dotty graphics blends in more with your natural eye color better than solid color on the circle lenses. Enlargement : This lens indeed quite some natural looking enlargement to your eyes. 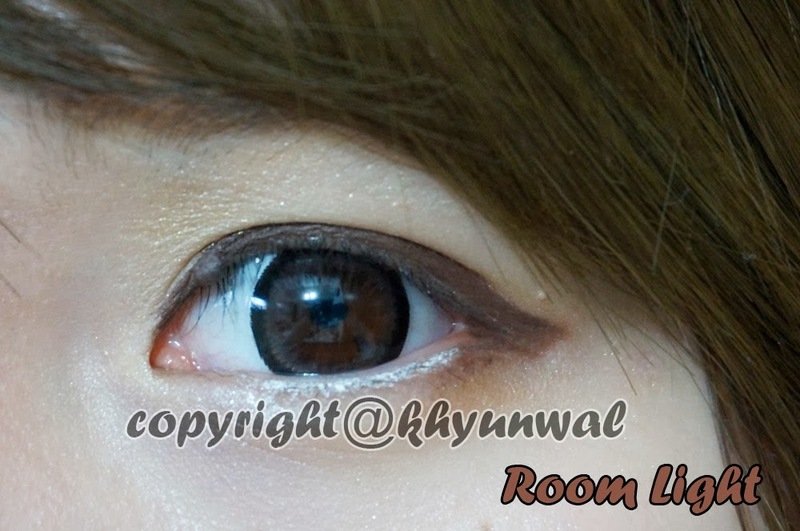 Perfect for those who loves to do Gyaru and Ulzzang make-up!! I really love how the color it is on this lens! I love the natural looking ones alot!